“Upside down” are the only words Manush Albert Alben has to describe life after the powerful Cyclone Idai. The inland floodwaters have yet to clear. The 2015-16 El Niño weather cycle, believed to be the strongest in 50 years, severely affected Southern Africa’s food security, according to the UN Food and Agriculture Organization (FAO). Dry weather conditions in large swathes of Zimbabwe, Malawi, Zambia, South Africa, Mozambique, Botswana, Lesotho, Swaziland, and Madagascar led to about 32 million people being unable to afford or resources to acquire food in 2016. “The results are a stark example of the inequalities that come with global warming,” wrote the study’s lead author Andrew King, a climate researcher at the ARC Centre of Excellence for Climate Extremes and the University of Melbourne, Australia. That is not to say that developed countries are immune to its effects. Hurricane Harvey, a storm whose intensity was linked to climate change, caused biblical flooding in the summer of 2017 around Houston and surrounding counties. More than 120,000 people had to be evacuated or rescued, and about 80 people died. And preliminary analysis by researchers at the Environmental Change Institute (ECI) at the School of Geography and Environment in Oxford University, found that Europe’s uncharacteristically hot and dry summer of 2018 was likely linked to climate change. Parts of Houston were flooded during Hurricane Harvey. “Wealthy countries like the United States [are] able to prepare and cope with problems like climate change better than poorer countries,” Michael Oppenheimer, Princeton Professor of GeoScience and International Affairs, told CNN’s Christiane Amanpour. In 2016, the US Department of Housing and Urban Development awarded $48.3 million to the state Louisiana to help with the climate relocation of the entire community on Isle de Jean Charles, which lost more than 97% of its land to the sea in the last 60 years. “But in some places poorer countries have actually done a better job than the United States. Because for all our worth — or our wealth, we’ve been asleep at the wheel and that’s due to bad leadership in the federal government,” Oppenheimer said. 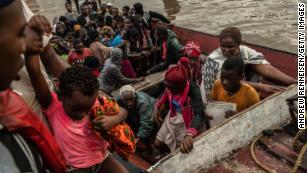 Countries like Mozambique and Bangladesh, whose low-lying, densely populated coastal towns and cities are on the front lines of climate change, have agonized over the issue of a warming planet. “It is quite clear that rising sea levels and warming seas contributes to the intensification of these weather events,” McClean told CNN. Bangladesh, which saw at least 1,200 die and more than 41 million people affected by monsoon rains and flooding in 2017, is girding for a battle against climate change, Ricardo Safra de Campos, a Research Fellow at the College of Life and Environmental Sciences at the University of Exeter, told CNN. Catastrophic flooding in Bangladesh in 2017 destroyed at least 950,000 houses. The country has built anti-cyclone shelters, coastal embankments, and invested in a cyclone and flood warning prediction systems. However, its efforts are financially limited, adds Safra de Campos. Beira, which lies below sea level, is no stranger to floods. Officials worried about the low lying city, which is filled with poorly planned settlements. It had flood defenses in place before Cyclone Idai hit. According to the World Bank, funds were provided in 2012 to help the city build flood control stations, a large water retention basin, and the restoration of a storm drainage system and canals. 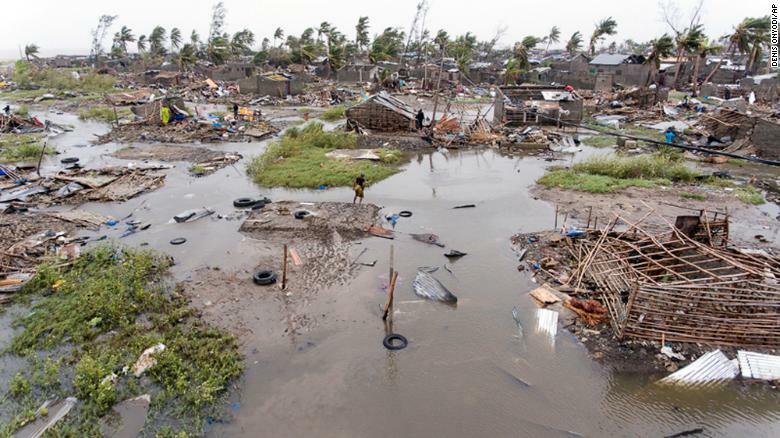 But the cyclone’s 175 kph (110 mph) winds and and accompanying rains laid waste to Beira’s defenses — ripping the foundations of bridges, bursting riverbanks and sweeping away homes. “High rates of poverty, a lack of resilient infrastructure, slums and a disappearance of protected infrastructure in low- and middle-income countries” create a cocktail of risk, said the UN’s McClean. But cities, towns and villages may not stand a chance to withstand the scale and intensity of extreme weather events, which have “more or less doubled in the last 40 years,” he said. When Super Typhoon Haiyan, which turned into a Category 5 hurricane from the warming waters in the ocean, struck the Philippines in 2013 it became one of the strongest tropical storms in history. Filipinos had never seen anything like it, McClean said. The people in the coastal city of Tacloban could not even describe the seven-meter tidal surge that came with the storm. 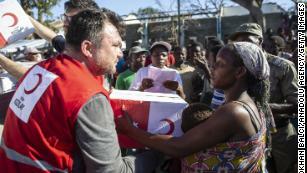 Aid groups believe the death toll in Mozambique will be far higher than the official figure. “They simply did not have words to explain what was happening to them,” he said. 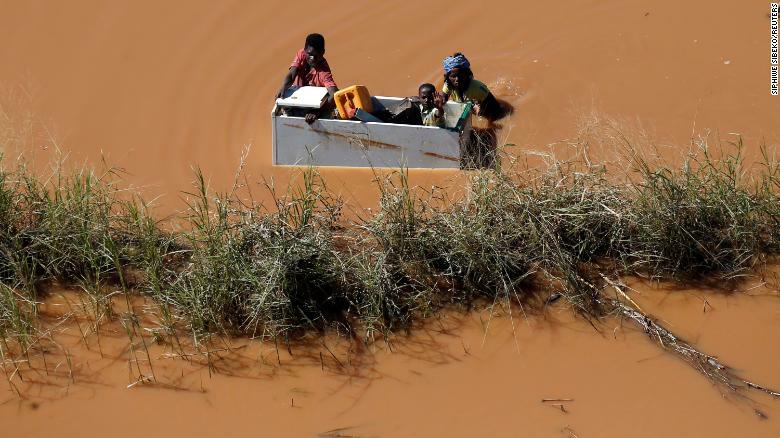 While it is too early to gauge the magnitude of Cyclone Idai, the UN World Meteorological Organization projects the disaster could be among the worst weather-related disasters in the southern hemisphere. The UN’s Economic Commission for Africa estimates that Mozambique, Zimbabwe, and Malawi, may have lost $1 billion of infrastructure in the cyclone. “They lost everything, including the references of their past and cultural heritage,” Machel added. “Everything is washed away…. [but] the social fabric is the one which will be extremely difficult to reconstruct,” even when the roads are re-paved, she said. As events in Mozambique, Bangladesh and the Philippines have shown, climate change is a problem of the present. Not just the future.